Avantika has called up Ambika and gave her a responsibility of finding a nice girl for Adi, who should be like Pankhudi in nature. Ambika finds this task tough and takes Govardhan’s help. They look for the prospective brides and Ambika likes a girl named Poonam, but could not meet her. She goes to the ashram and falls on the road. Poonam comes to her rescue and takes her home. She takes care of him being a homeopath doctor and says few lines which remind Ambika about Pankhudi. Ambika instantly gets connected to her seeing her goodness and simplicity. She feels this is the right girl for Adi and informs Avantika about this. Avantika is very delighted knowing this. She thinks Ayesha won’t keep Adi happy, as her face will always remind him of Pankhudi, and he can never move on in his life. Avantika had taken the promise from Ayesha that she has to convince Adi for this marriage. Ayesha is heartbroken as she loves Adi and now she is avoiding him, being on her promise to Avantika. Avantika breaks this news to Ayesha, that they have found a prospective bride for Adi. Ayesha feels sad and makes herself strong, as she knows Adi will become someone else’s. 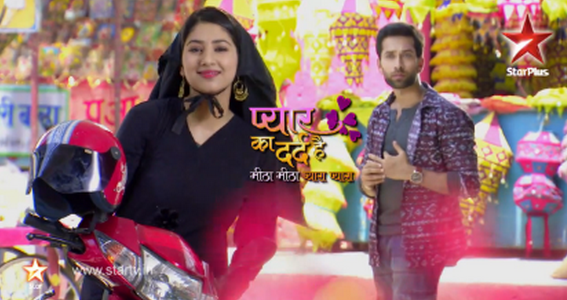 Will Adi agree to marry Poonam? Keep reading.